1: Espinosa PS, Bensalem-Owen MK, Fee DB. Sporadic Creutzfeldt-Jakob diseasepresenting as nonconvulsive status epilepticus case report and review of the literature. Clin Neurol Neurosurg. 2010 Jul;112(6):537-40. Epub 2010 Apr 28. Review. PubMed PMID: 20430517. 2: Espinosa PS, Lee JW, Tedrow UB, Dworetzky BA. Effects of seizures on cardiac function. J Clin Neurophysiol. 2010 Apr;27(2):139; author reply 139. PubMed PMID:20375715. 3: Karakis I, Montouris GD, Otis JA, Douglass LM, Jonas R, Velez-Ruiz N, Wilford K, Espinosa PS. A quick and reliable EEG montage for the detection of seizures in the critical care setting. J Clin Neurophysiol. 2010 Apr;27(2):100-5. PubMed PMID: 20234318. 4: Espinosa PS, Lee JW, Tedrow UB, Bromfield EB, Dworetzky BA. Sudden unexpected near death in epilepsy: malignant arrhythmia from a partial seizure. Neurology. 2009 May 12;72(19):1702-3. PubMed PMID: 19433745. 5: Baumann RJ, Espinosa PS. Neuroepidemiology of HIV/AIDS. Handb Clin Neurol.2007;85:3-31. PubMed PMID: 18808973. 6: Das RR, Lucey BP, Chou SH, Espinosa PS, Zamani AA, Dworetzky BA, Bromfield EB, Lee JW. The utility of conductive plastic electrodes in prolonged ICU EEGmonitoring. Neurocrit Care. 2009;10(3):368-72. Epub 2008 Sep 20. PubMed PMID:18807217. 7: Espinosa PS, Salazar JC, Yu L, Mendiondo MS, Robertson WC, Baumann RJ. Lack ofvalproic acid-associated weight gain in prepubertal children. Pediatr Neurol.2008 Sep;39(3):177-80. PubMed PMID: 18725062. 8: Espinosa PS, Baumann RJ, Vaishnav AG. Elastosis perforans serpiginosa, Downsyndrome, and moyamoya disease. Pediatr Neurol. 2008 Apr;38(4):287-8. PubMedPMID: 18358411. 9: Espinosa PS, Pettigrew LC, Berger JR. Hereditary hemorrhagic telangectasia and spinal cord infarct: case report with a review of the neurological complications of HHT. Clin Neurol Neurosurg. 2008 May;110(5):484-91. Epub 2008 Mar 4. Review.PubMed PMID: 18304727. 10: Espinosa PS. 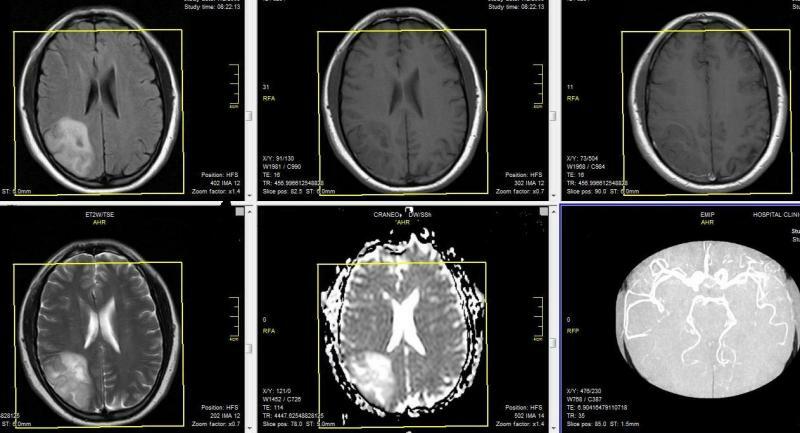 Teaching NeuroImage: one-and-a-half syndrome. Neurology. 2008Jan 29;70(5):e20. PubMed PMID: 18227412. 11: Espinosa PS, Choudry B, Wilbourn R, Espinosa PH, Vaishnav AG. Pituitaryapoplexy: a neurological emergency case report. J Ky Med Assoc. 2007 Nov;105(11):538-40. PubMed PMID: 18183804. 12: Espinosa PS, Berger JR. Acute central cord syndrome with bodybuilder sign. Clin Neurol Neurosurg. 2007 May;109(4):354-6. Epub 2007 Jan 16. PubMed PMID:17224234. 13: Espinosa PS, Smith CD, Berger JR. Alien hand syndrome. Neurology. 2006 Dec26;67(12):E21. PubMed PMID: 17190927. 14: Ryan M, Romanelli F, Nee JK, Anochie L, Espinosa PS. Characteristics ofparticipants enrolled in a Quit and Win smoking cessation program. J Ky Med Assoc. 2006 Oct;104(10):469-74. PubMed PMID: 17087044. 15: Espinosa PS, Smith CD, Berger JR. Homonymous hemianopsia complicatingtreatment of postoperative epistaxis. Neurology. 2006 Oct 10;67(7):1305. PubMed PMID: 17030776. 16: Espinosa PS, Kryscio RJ, Mendiondo MS, Schmitt FA, Wekstein DR, MarkesberyWR, Smith CD. Alzheimer's disease and head circumference. J Alzheimers Dis. 2006 Mar;9(1):77-80. PubMed PMID: 16627937. 17: Espinosa PS, Berger JR. Volitional opsoclonus. Neurology. 2005 Sep 13;65(5):E11. PubMed PMID: 16157893. 18: Berger JR, Espinosa PS, Kissel J. Brachial amyotrophic diplegia in a patient with human immunodeficiency virus infection: widening the spectrum of motor neuron diseases occurring with the human immunodeficiency virus. 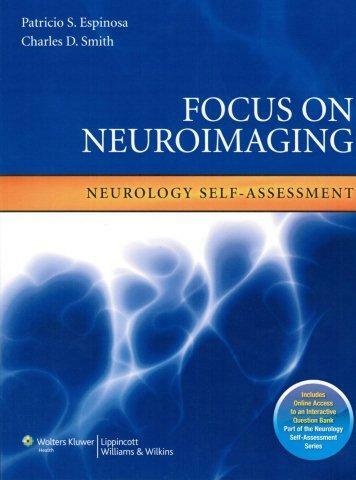 Arch Neurol.2005 May;62(5):817-23. Review. PubMed PMID: 15883271. 1. Espinosa, PS, Aaron L. Berkowitz, Nicole M. Falcone, Denise Dvorquez, Kathleen M. Principe, William Principe, Melissa M. Murphy, Christopher Shanahan, Ann Kao, Dominic B. Fee, Karin R. Swartz, Blanca R. Vasquez and Sydney S. Cash. The Epilepsy Treatment Gap in the Ecuadorian Amazon. Presented at the American Academy of Neurology 62nd Annual Meeting Toronto, Canada April 10, 2010. 3. Elkersh, M and Espinosa, PS. V2 And V3 Stimulation For Pain Related To Trigeminal Neuralgia In A Patient With Multiple Sclerosis. Presented at the 2009 NANS Annual Meeting December 3-6, 2009 Las Vegas, Nevada. 4. Espinosa, PS, Lee JW, Tedrow UB, Bromfield, EB, Dworetzky, BA. Sudden Unexpected Near Death in Epilepsy (SUNDEP): Malignant ventricular arrhythmia from a partial seizure. Presented at the American Academy of Neurology 61st Annual Meeting Seattle, WA April 30, 2009. 5. Espinosa, PS, Khosbin S; Does alpha asymmetry correlate with brain torque? Presented at the American Clinical Neurophysiology Society Annual Meeting, March 7th, 2009 Lake Buena Vista - Orlando, FL. 6. A Seven Electrode Montage EEG as a Potential Screening Tool for Emergency Situations. Espinosa PS, Das RR ,Lucey BP,Karakis I, and Kennedy KA. Presented at the American Epilepsy Society Meeting, Seattle Dec 5-9 December 2008. 7. A quick and reliable EEG montage for the on-call neurology resident to detect seizures in the ICU. Karakis I, Montouris G, Douglass L, Jonas R, Velez-Ruiz N, Otis J, Espinosa PS. Presented at the American Epilepsy Society Meeting, Seattle Dec 5-9 December 2008. 8. Association of Antiepileptic Drugs, Vitamin D, and Calcium Supplementation with Occurrence of Fractures in Patients with Epilepsy. Espinosa PS, Abner E, Das RR,Lucey BP, Mendiondo M, Kennedy KA and Ryan M. Presented at the American Epilepsy Society Meeting, Seattle, Dec 5-9 December 2008. 9. MRI-Compatible Conductive Plastic Electrodes are Feasible and Safe in Prolonged ICU Electroencephalographic Monitoring. Das, RR, Brendan PL, Chou S, Espinosa PS, Zamani AA, Dworetzky BA, Bromfield EB, Lee JW. Presented at the American Epilepsy Society Meeting, Seattle Dec 4-9 December 2008. 10. Use of Intraventricular Hippocampal Electrocorticography in Post-Resection And Re-Resection Temporal Lobe Epilepsy Patients. Brendan Lucey, J. Madsen, Rohit Das, Tracey Milligan, Patricio S. Espinosa, Ellen Bubrick, B. Dworetzky And E. Bromfield. Epilepsia 0 Suppl. 0 (Abst. 2.262 ), 2008 Presented at the American Epilepsy Society Meeting, Seattle Dec 4-9 December 2008. 11. Fractures in Patients with Epilepsy and it’s Association with Vitamin D, Calcium Supplementation and Occurrence of Bone fractures in Veterans. Patricio S. Espinosa, MD, MPH, Erin Abner, MPH., Marta S. Mendiondo, PhD. Cobb Assembly Boston Society of Neurology and Psychiatry, Beth Israel Deaconess Medical Center, May 1, 2008, Boston, MA. 12. Vitamin D and Calcium Supplementation and Occurrence of Bone Fractures in Patients with Epilepsy Patricio S. Espinosa, MD, MPH, Erin Abner, MPH., Marta S. Mendiondo, PhD. American Academy of Neurology Annual Meeting Chicago, April 15, 2008. PO2.068 Selected for “Epilepsy/EEG Scientific Topic Highlights" at the 60th AAN Annual Meeting. April 17, 2008. 14. A Case-Control Study for Screening Dementia in Ecuador. Patricio S. Espinosa, MD, MPH, Marta S. Mendiondo, PhD , Erin Abner, MPH, Frederick A. Schmitt PhD ,Gregory A. Jicha, MD, PhD, Charles D. Smith MD , Richard J. Kryscio, PhD, and Patricio H. Espinosa, MD , Alberto G. Basantes,MD , Roberto M. Velez, MD , German A. Echeverria, MD , Fabricio O. Suarez, MD , Xavier E. Godoy MD. CTS Spring Conference University of Kentuchy, Lexington, KY June 12, 2007. 16. Alzheimer’s Disease and Head Circumference Espinosa, P.S., Kryscio R.J., Mendiondo M. S., Schmitt F.A., Wekstein D.R., Markesbery W.R Second Annual Dementia Congress Poster Presenter Washington DC, USA September 12-14 2003. Winner 1st prize “Best Poster Award”. Un paciente de 30 años sin antecedentes médicos presenta con una convulsión. Basado en la RMN, ¿Cual es su diagnostico?